N. Jean Reas, 84, died Saturday Feb. 9, 2019, at Marion General Hospital. Jean was born Sept. 26, 1934, in Tiffin, to Ernest J. Zoeller and Mary Angela (Smith) Zoeller. Jean married Dr. Herman W. Reas in November 1990. They were blessed with four very happy years together. She is survived by three brothers, David (Leslie) Jones, Timothy (Gloria) Jones and Paul (Teresa) Jones; four nephews and nieces, Jay Brucker, Keith Jones, Staci (Andy) Brickner and Nikki (Kyle) Hintze; grand nieces and nephews; and many maternal and paternal cousins. She was preceded in death by her parents; her husband, Dr. Herman W. Reas; and a brother, Jimmy Zoeller. Jean attended St. Mary Elementary and Calvert High School, Tiffin, Mary Manse College, Toledo, and earned her master’s degree at St. John College, Cleveland. She started her career in education in 1955 teaching in elementary schools in the Toledo area. She continued her 42-year career in education in elementary administration, secondary administration, elementary supervision and college administration. In Marion, she ended her career as principal of George Washington Elementary School. She was co-founder of Toledo Diocesan Elementary Principals Association and served as president for its beginning years. She was an active member of St. Mary Parish, Marion, and served on the Church Pastoral Council and Marion Catholic Sr. and Jr. High School Board for several years. She also was a member of Endowment Board of Marion Children’s Services Board and served a number of years as president. Jean was a past member of Delta Kappa Gamma and Phi Delta Kappa. 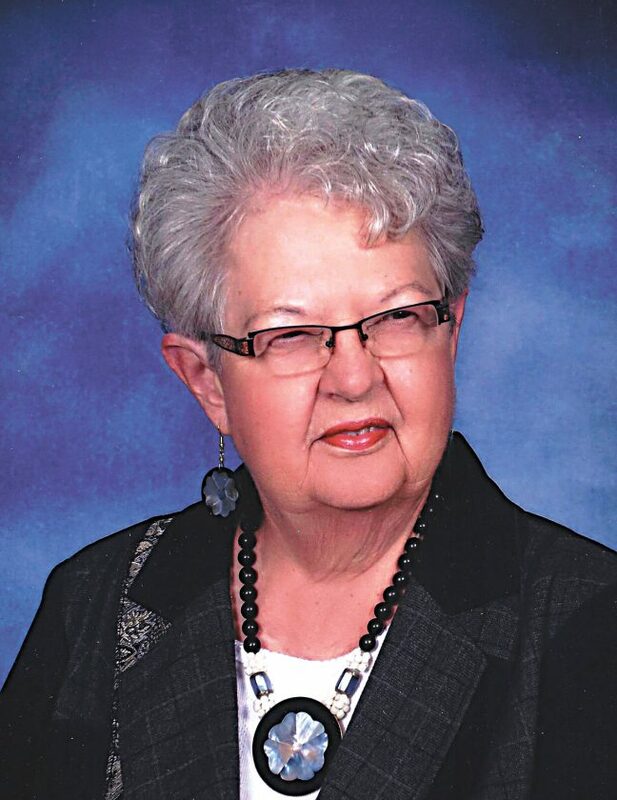 She was an active member of Marion City/County Retired Teachers Association and served as president for two years. Besides her professional organizations, she belonged to Red Hats Society, two euchre clubs, Artisans and Marion Senior Center where she enjoyed many activities. One of her favorite hobbies was making crafts. She enjoyed tole painting, one-stroke painting, floral arrangements and card making. She exhibited in many craft shows and then had shows in her home for about 10 years. She loved to travel and spent many of her retired years traveling with friends, cruising and touring the country. Visitation will be 4-7 p.m. Wednesday Feb. 13, 2019, at Snyder Funeral Homes, Gunder Hall Chapel. A 10:30 a.m. Mass of Christian burial will follow Thursday Feb. 14, 2019, with Father Ryan Schmit officiating at St. Mary Church, Marion. A private family burial will be at a later date at St. Mary’s Cemetery, Marion. Memorial donations may be made in Jean’s honor to St. Mary, Marion; St. Mary, Tiffin; or Catholic Relief Services. Snyder Funeral Homes of Marion are honored to serve Jean’s family. Online condolences may be expressed by visiting www.SnyderFuneralHomes.com.